Tanzania President John Pombe Magufuli clears garbage on the streets of Dar es Salaam during the country's 51st Independence Day anniversary. The newly elected president of Tanzania, John Magufuli, has cancelled Independence Day celebrations in his country and joined citizens to clean the streets instead. He asked citizens of the country to clean their environment instead and led by example. 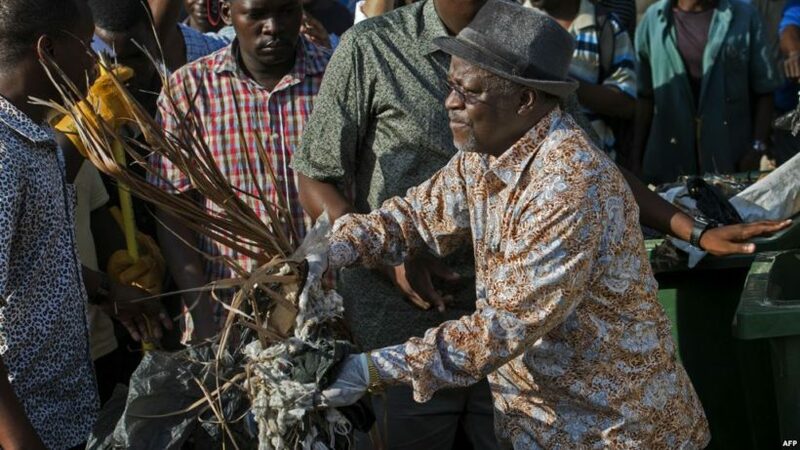 The president was pictured in Dar es Salaam dressed casually with a pile of rubbish in his hands. He was joined by dozens of fishermen from a market outside the palace, in the commercial port of Dar es Salaam, as he shoveled leaves and rubbish. “Let us work together to keep our country, cities, homes and workplaces clean, safe and healthy,” he told a crowd. Thousands of people across the country, which is struggling to contain a major cholera outbreak, reportedly took part in the clean-up. Former president Jakaya Kikwete, who stepped down after describing the job as “stressful and thankless,” also took part in the clean-up. ‘The Bulldozer’ has promised to tackle corruption and has pursued a program of austerity (policies to reduce spending in an attempt to shrink growing budget deficits) since coming to power in November. 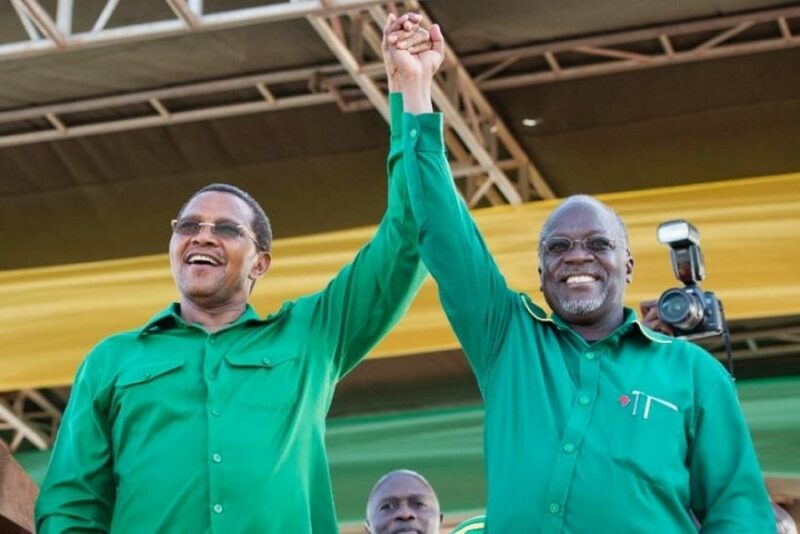 October 23, 2015: Tanzanian president-elect John Magufuli (right) with outgoing President Jakaya Kikwete (left). His cancellation of independence day sparked the hashtag #WhatWouldMagufuliDo on Twitter. A drone squad, designed to locate and – if necessary – capture nuisance drones flown by members of the public, is to be launched by police in Tokyo. The Metropolitan Police Department’s unit in charge of patrolling the Diet building, the prime minister’s office, the Imperial Palace and other significant locations in Tokyo will be equipped with the drone in mid-December. If a suspicious drone is detected, the operator will be warned via loudspeakers on the ground. But if he or she fails to respond, police will launch drones equipped with nets to bring down the device. In April, a drone carrying a small amount of radioactive material landed on the roof of the prime minister’s office. No-one was injured and a man was arrested in connection with the incident (after turning himself in, saying he was protesting the Japanese government’s nuclear energy policy). Regulations on drones came into force in Japan this week, following an amendment to the country’s Aviation Act. 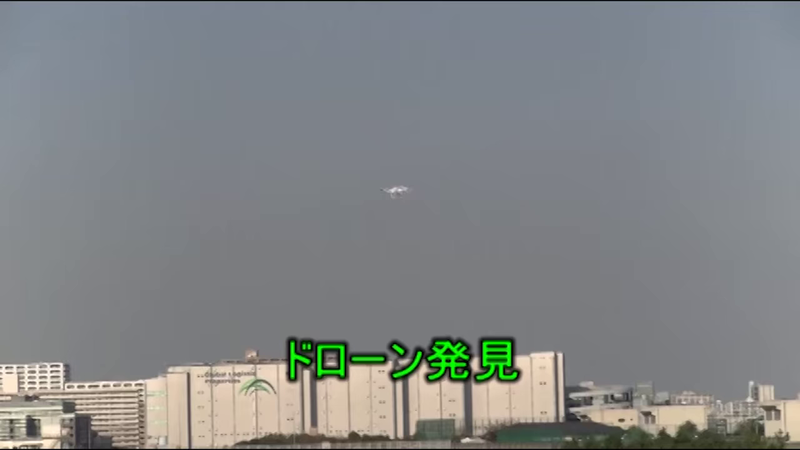 “Japan’s new net-carrying, drone-disabling drone is certainly an interesting way to police those areas where drones are forbidden,” added Mr. Haswell. The Metropolitan Police Department had been considering ways to use drones to capture other drones since the unmanned aerial machine carrying radioactive soil from Fukushima Prefecture was found on the roof of the prime minister’s office in April. After some trial and error, police concluded that a net would allow them to easily catch drones with little worry about them falling and causing injuries on the ground. Rules over drone use are being tightened up in several countries. In the US for example, authorities have called for a drone register which would list device owners across the nation. Syrian rebel fighting groups including hardline Islamists have agreed for the first time to hold face-to-face peace talks with representatives of the Assad regime. At a meeting held in Saudi Arabia on Wednesday, representatives from Syria’s fragmented opposition agreed to a list of delegates to attend internationally sponsored talks with the Assad regime, most probably in January. Among the delegates will be members of the Free Syrian Army as well as Islamist groups like Jaish al-Islam, which is led by Islamist former inmates of Syrian prisons released early in the uprising by Bashar al-Assad, the Syrian president. The participation of what is thought to be the biggest Islamist fighting group, Ahrar al-Sham, was in question. It released a statement saying it was pulling out of the talks because the opposition delegation was set to include members of opposition groups that were tolerated by the regime. Rebel fighters from the Ahrar al-Sham Movement take Islamic and Koran lessons inside a camp, during the holy month of Ramadan in Idlib countryside, Syria, July 7, 2015. The group pulled out of a meeting of opposition groups in Saudi Arabia, Dec. 10. However, there were reports on Thursday night that it had changed its mind, and would send a delegate to the negotiations. That is doubly important because it has fought alongside, and retained good relations with, Jabhat al-Nusra, the al-Qaeda branch in Syria which is a powerful force in its own right but was not invited to take part in the conference. There have been two previous rounds of peace talks since the start of Syria’s civil war, known as Geneva 1 and 2 after the city which hosted them. The Syrian National Coalition, the main political umbrella organization representing the opposition, sat opposite the regime’s foreign minister, Walid al-Muallem, and other spokesman for 10 days in January 2014 but reached stalemate. But the coalition was held to be too far removed from the fighting to be of much relevance in any case, with fighting groups not directly represented. The opposition communique will be of some comfort to the Western nations who supported calls for Assad to be overthrown early in the uprising but have become dismayed by the revolution’s takeover by Islamist and jihadist groups. It promises a civil, not Islamist, state, that guarantees equality both of men and women and of religions. It also said it would preserve state institutions. Other positions concur with previous agreements but are the real obstacles to the success of any talks with the regime. They agree to the withdrawal of foreign fighters – but Iran is unlikely to agree to any deal that excludes it from Syria, a key link in its support for the Lebanese Shia militia Hizbollah. Above all they say that the talks must accept the transition of the regime agreed by the Geneva 1 conference, which the opposition interprets as meaning the departure of Assad himself. They add that Assad must leave before the start of the transition process. Russia and Iran are backing Assad’s right to stand in any election that comes out of the transition process, and even the Western powers say that Assad can play a role in the transition as long as he leaves before the end of it. However, the rebels appear to have guarantees that they will not have to compromise on this point. Adel al-Jubair, the Saudi foreign minister, suggested the Gulf states were still committed to backing the armed opposition. “Bashar Assad has two solutions: leave through negotiations, which is easier and better for all, or he will have to leave through fighting because the Syrian people refuse that this regime and person stays in power,” he said. Note: In 2011, the Syrian population was estimated at roughly 23 million. The actual population has reduced by about 5 million since the Syrian Civil War started in 2011, with more than 4 million becoming refugees and at least 210,000 being killed. PLEASE NOTE: This is the last Tuesday’s World Events post for December. Regular “Tuesday’s World Events” will resume after the Christmas break on Tuesday, Jan. 12. Look for our “2015 Year in Review Quiz” in January as well. Find the answers at the CIA World FactBook website. 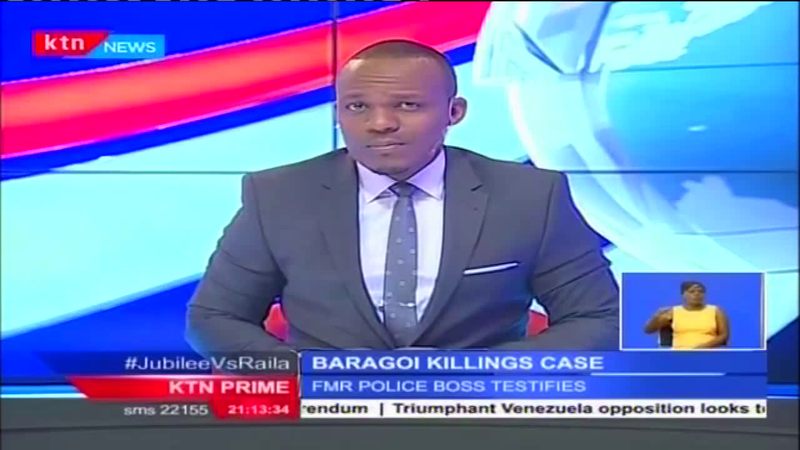 b) Why did President Magufuli take this action? c) What other issues has he promised to address as president? 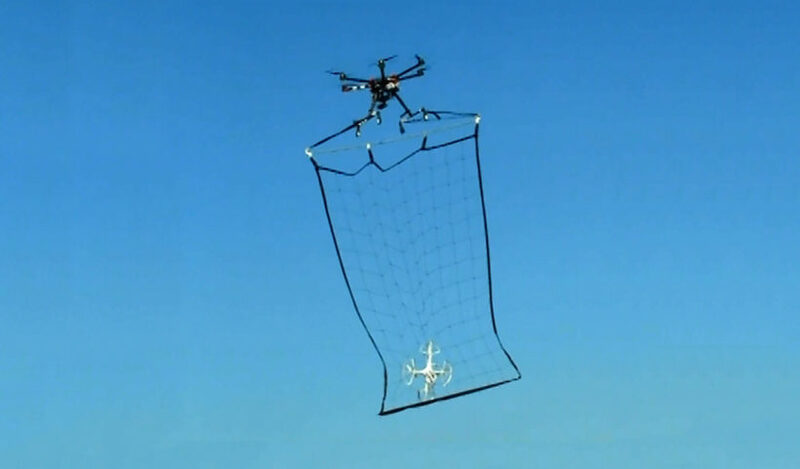 b) Why are police using nets with the drones? c) Do you think U.S. police should invest in similar drones? Explain your answer. b) What is the most important non-negotiable point for the opposition groups? c) If they agreed to a permanent truce, the country should be safe for its citizens to return. What would you think of the U.S. and Europe helping the Syrian refugees who have been taken in by Europe and the U.S. return home to Syria? Should we help them travel back to their homes? Should the 10,000 that President Obama has brought to the U.S. be allowed to stay if peace is restored in their country? Those close to him say he is keen on details and when he embarks on an assignment he pursues it to completion. However, this very trait has cost him friends. His critics say he is very abrasive, and he received a lot of criticism for auctioning off state-owned homes to government employees and the public. Married with five children, Mr. Magufuli was born in north-western Tanzania’s Chato district along the shores of Lake Victoria. Once a maths and chemistry teacher, he went on to become an industrial chemist – and was awarded a doctorate in chemistry from Dar es Salaam University in 2009.